Leefish very kindly fixed Nengi's door from the Sea and Surf build set to allow light in! 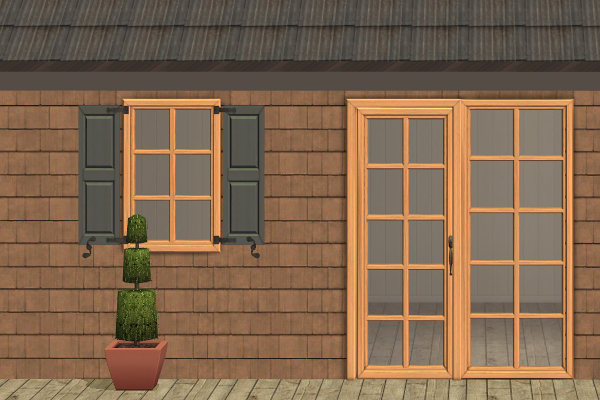 As a thank-you, I made some recolors of the fixed door and windows in the same woods as the base-game Craftsman window, plus black. 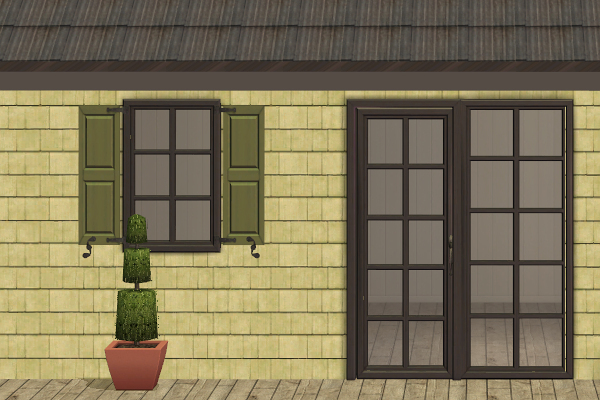 I also slaved Nengi's separate shutters to the base-game LaFenetre colonial windows and did some (hopefully) Craftsman-like painted colors. 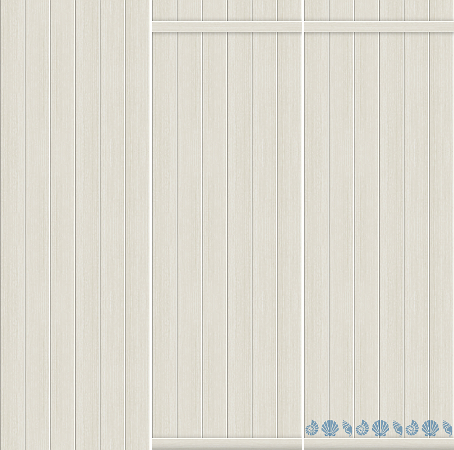 Nengi's original blue shutter and CuriousB's worn white one have been switched to LaFenetre recolors. 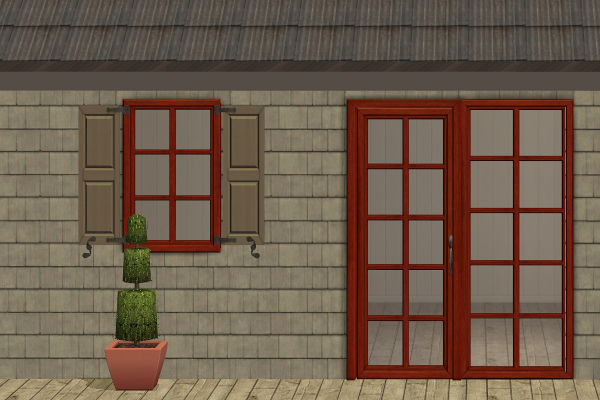 The painted board panels (§5) were included in some earlier houses but I tweaked them and added a new one with a painted border. 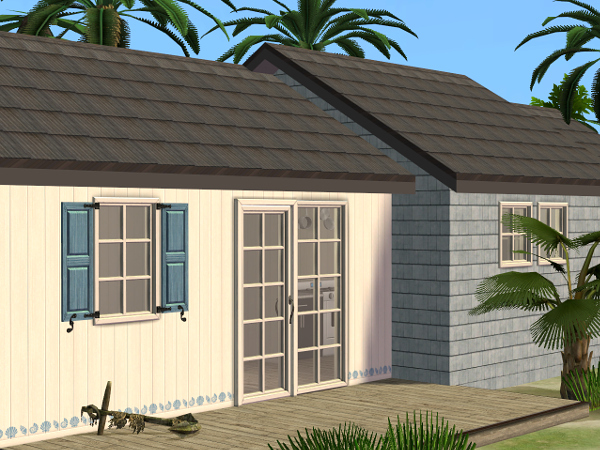 They're a nice match next to Nengi's original cottage white color and the shell border matches her blue shutters. 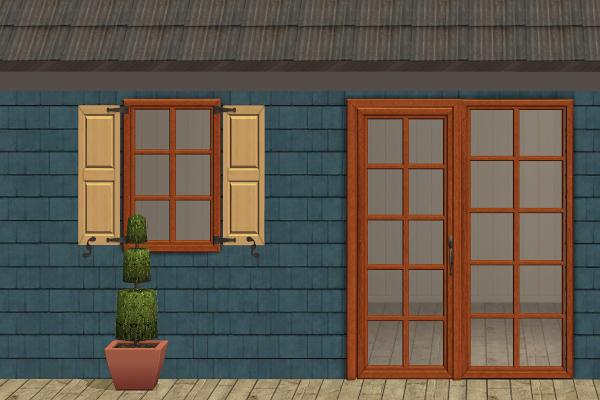 The meshes for the fixed door and windows are included with the recolors in the first set (any old doors need to be sold and replaced with the fixed one for the sun to shine in). 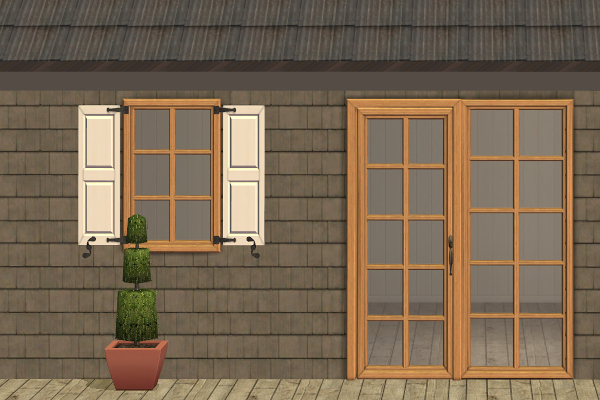 The edited meshes for the shutters are included in the second set. Thankyou, just using these in the challenge house, will have to swap the old for the new!